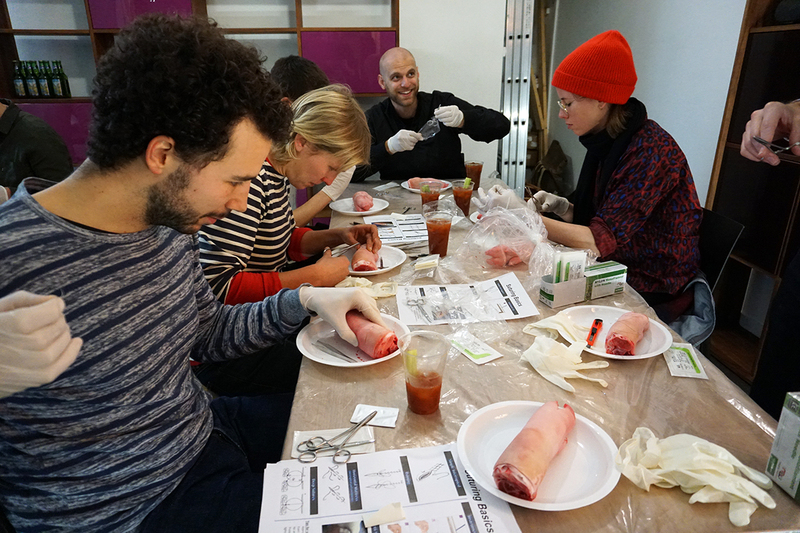 During this Practical Fridays, Brian lead a suturing workshop. 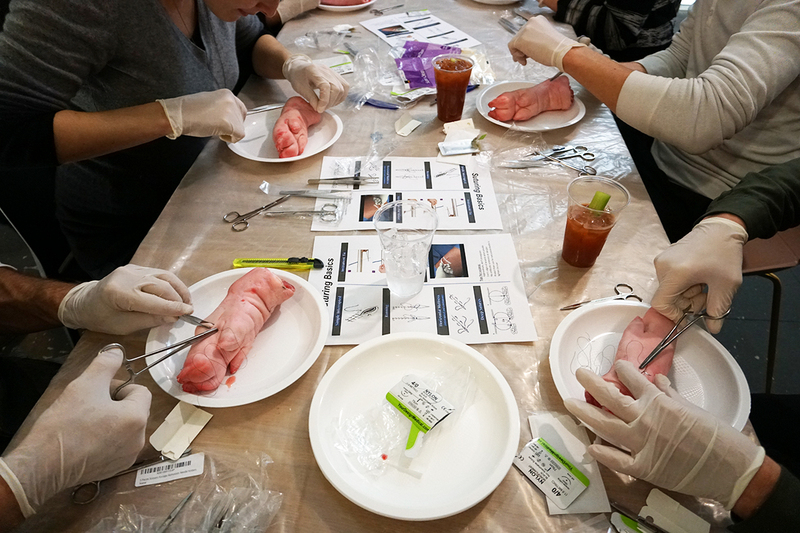 He reviewed common suture techniques used to close a wound, using various materials and tools. 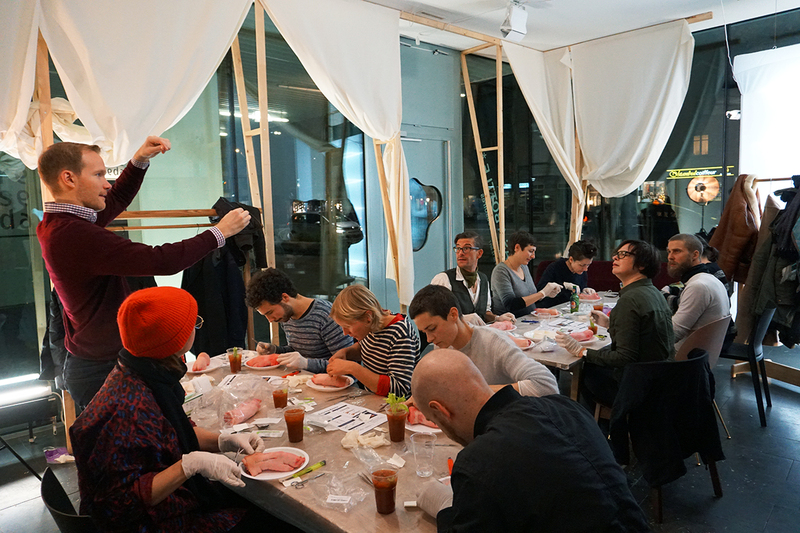 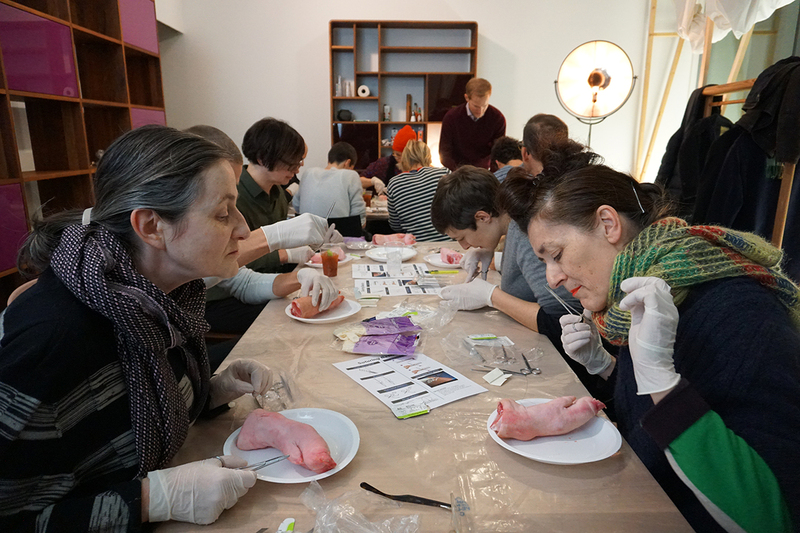 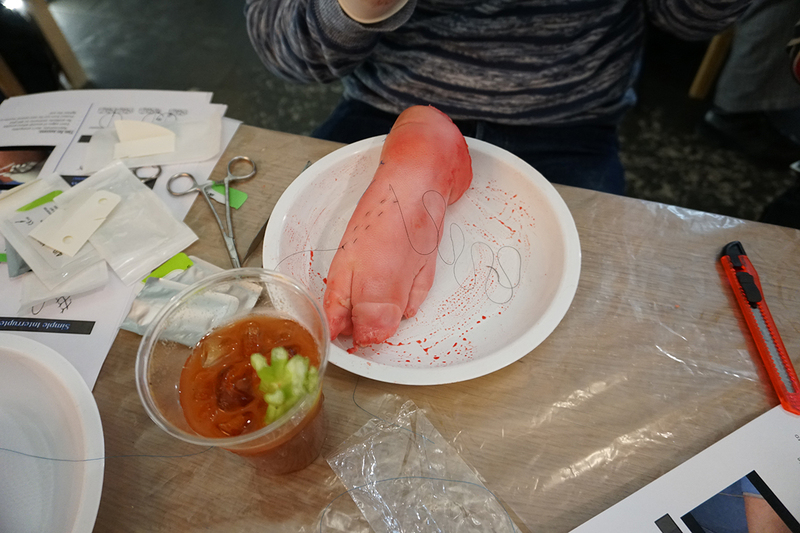 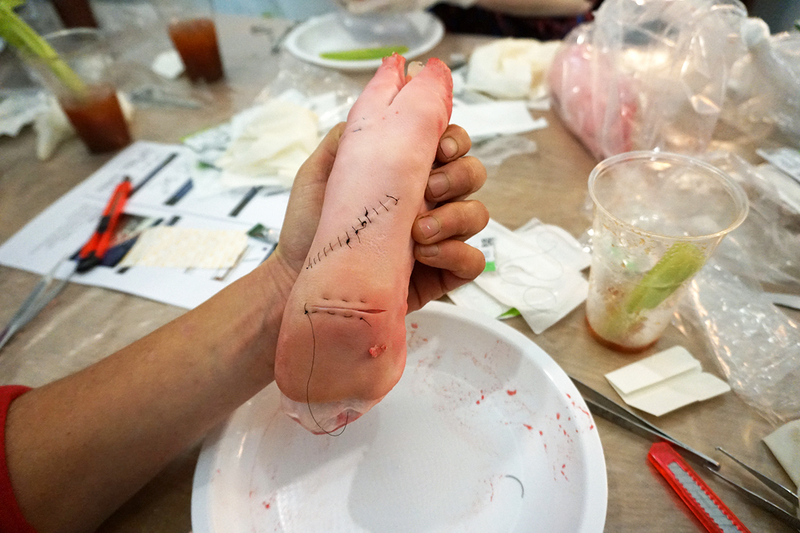 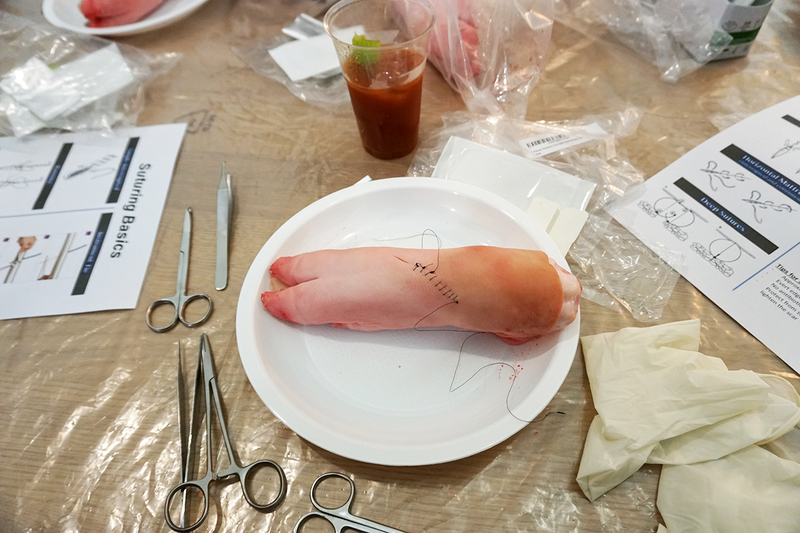 Each participant then practiced these techniques individually on a pig’s foot.